I am very excited about my upcoming Kenya exhibit (and I admit a bit nervous too)! 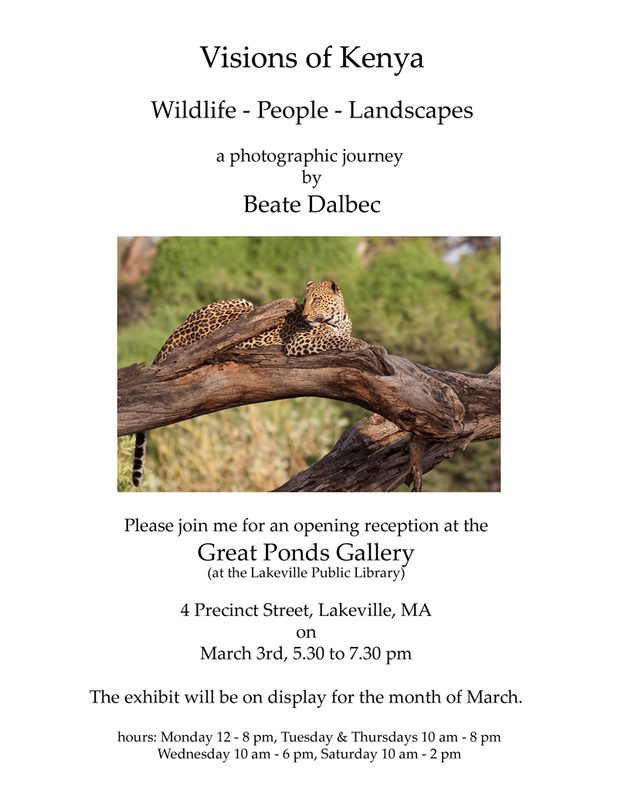 If you are in the area, I would love to invite you to attend the opening on March 3rd. The exhibit will be on display for the month of March. A portion of any sale will be donated to Give International to help fund projects in Kenya. Thanks, Sabrina! Well it won’t be that BIG – the biggest my printer does is 13 x 19 and I have to leave little bit of a margin. It is fun getting ready for it (despite it being a lot of work) but I have really sorted through my images and it brought back so many great memories 🙂 . Beate! Am very impressed with your work!!! I haven’t seen you in many years and didn’t know back then that you were interested in photography, never mind so very talented! BRAVO!! !